Photography & Videography as Tools for Citizen Journalism? 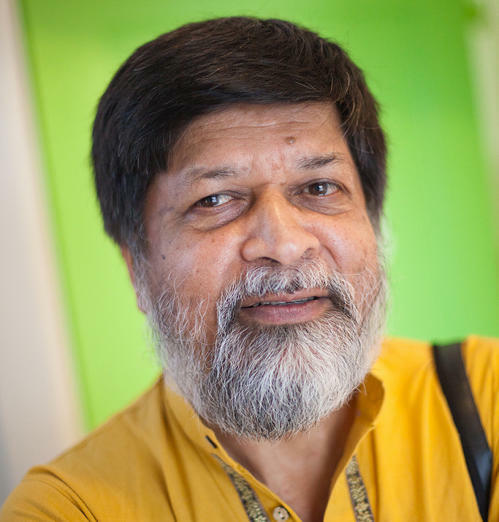 Session for Shahidul Alam, world renowned photographer and Principal of Pathshala South Asian Media Institute.? 5:30 pm ???????? ??????????????????????? Questions & Answer session? 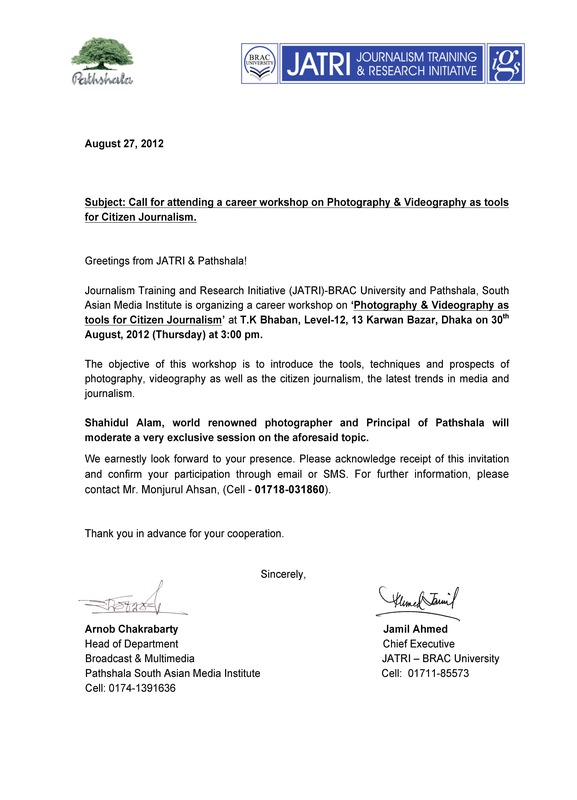 Pathshala South Asian Media Institute ? ? ? ? ? ? ? ? ? ? ? ?? St. ?Mary?s ?120. ?Best ?access is ?Reservoir ?Road, ?hospital ?entrance ?#1. ?St. Mary?s is on the left. ?You ?can ?park on the street, ?or ?go to the ?Georgetown ?parking lot in the Leavey Center. ?Just ?keep ?going ?from ?entrance ?one to ?the ?garage. ?Isn?t it a thrill to have him here in London? said the woman behind me to a friend as we we all waited, hardly an empty seat in the small lecture area of National Geographics?s Regent St first floor, and the next hour or so listening to Shahidul Alam talking, showing pictures and answering questions certainly justified her anticipation. 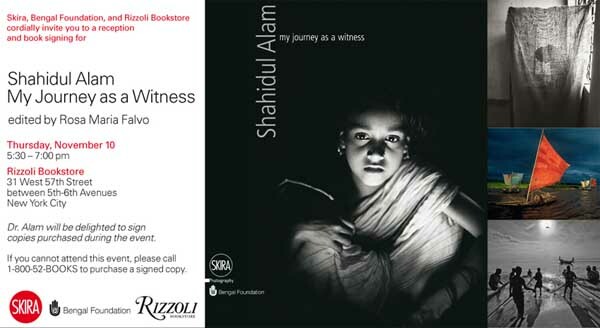 Alam?s mother in particular was a formidable woman; determined to get a university education despite the opposition of her mother-in-law to the education of women, she left home every morning in a burkha ?going to visit friends? and went to study. Armed with her degree she dedicated herself to the education of women, and having found little backing for her project, bought a tent and used it to set up her own school for girls. Later too we heard that his father had dared to evade the ?invitation? sent to him along with the other leading intellectuals of the country to take tea with the occupying Pakistani generals in 1971 just a few days before the end of the war. It was a story accompanied by a picture by Rashid Talukdar of a severed head in rubble, from the killing fields of Rayerbazar. Altogether more than a thousand teachers, journalists, doctors, lawyers, artists, writers and engineers were massacred.